Dr. AHMED MIRZA JAMIL invented the new technique of joining letters and words which truly revolutionized Urdu calligraphy and which made the use of computer for Nastaliq style a reality. Manual calligraphy was replaced by computerized composing due to which this Nastaliq style leaped to the forefront. Today the fast computerized calligraphy has become popular all over the world and innumerable dailies, magazines, journals and books are being published in almost no time. The Government of Pakistan recognized this achievement in 1982 by designating Noori Nastaliq as an “INVENTION OF NATIONAL IMPORTANCE” and awarded Ahmed Mirza Jamil with “TAMGHA – I – IMTIAZ”. 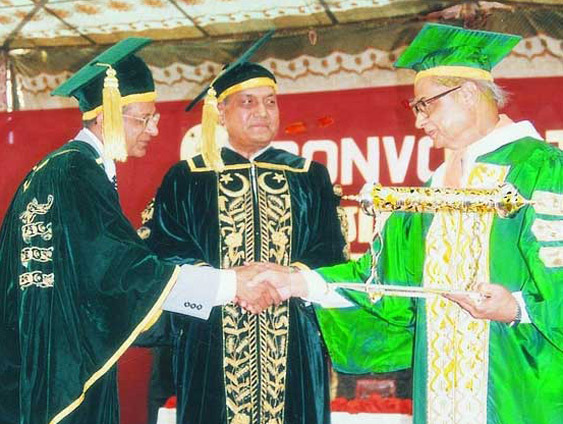 University of Karachi, in recognition of this achievement, admitted Ahmed Mirza Jamil to the degree of DOCTOR OF LETTERS HONORIS CAUSA, with citation as a Great Benefactor of Urdu Language. For more information on the history and its miraculous invention technique you can read about it in Dr. Ahmed Mirza Jamil’s book, Revolution in Urdu Composing. © Copyright - Elite Publishers Ltd. All Rights Reserved.